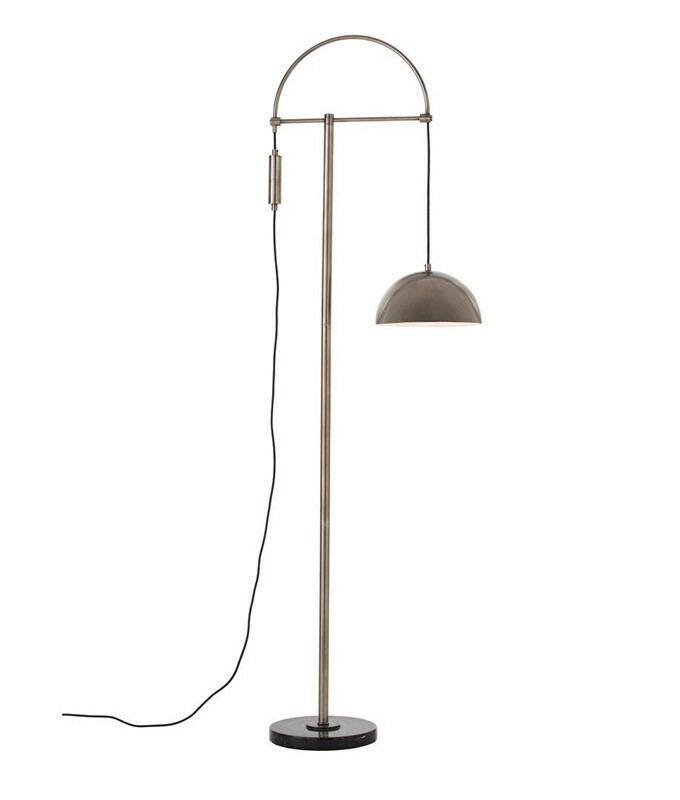 Enjoy the Jillian Floor Lamp in your home today! This vintage silver floor lamp can be adjusted with a push of a button, and a light tug on the black cloth cord changes the position of the metal shade. The heavy black marble base anchors it.